Since 1997, Tom Farley has been the lead political strategist and lobbyist for the Arizona Association of REALTORS®. Before joining Willetta Partners, he became the CEO in 2008 for the association representing 40,000+ REALTORS® in Arizona at the state legislature, as well as Congress. Mr. Farley also ran Farley Public Affairs Group, a contract lobbying firm, prior to becoming CEO of the REALTORS® association representing a number of interests at the Arizona Capitol. Tom has been appointed to several state commissions and committees on issues of land use water, taxation and regulation impacting the real estate industry and property owners. 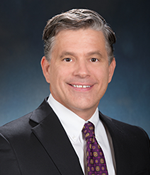 He is a member or sits on the board of directors of several organizations including the Arizona Chamber of Commerce, Greater Phoenix Chamber of Commerce, Arizona Tax Research Association and the Public Affairs Professionals Association. 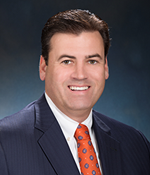 Mr. Haener has more than 20 years of experience in the public and private sectors. Prior to joining Willetta Partners, Inc., Mr. Haener was a lobbyist at Upstream Consulting. In addition, Mr. Haener worked as Deputy Chief of Staff for former Arizona Governor Janet Napolitano, where he worked to develop, advocate, and implement policy and programs on a broad range of issues from economic development to healthcare. 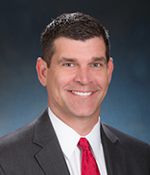 Mr. Haener also served as Director of Legislative Affairs and Communications Director for the Arizona Office of the Attorney General, Assistant to the Mayor of Phoenix, a Legislative Aide for a U.S. Senator and as an independent strategic policy and campaign consultant. Brian Tassinari has 17 years of media and government relations experience in both the public and private sectors. Prior to forming Willetta Partners, Inc., Mr. Tassinari was a lobbyist and communications consultant with the firm Williams & Associates for nine years. Before Joining Williams & Associates, Mr. Tassinari was the Director of Communications for the President of the Arizona Senate. He began his career in politics in 1995 when he joined the staff of U.S. Senator William V. Roth, Jr. in Washington D.C. where he served as a Deputy Press Secretary for two years and Communications Director for another two years. In addition to serving as the Senator’s spokesman in the local and national media, Mr. Tassinari wrote speeches and position papers for Senator Roth. He also worked on legislation relating to transportation and telecommunications issues.